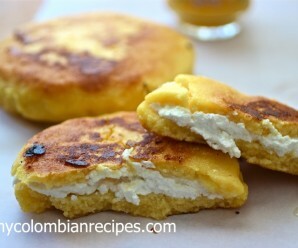 I am sure many of my readers from the Atlantic Coast in Colombia have been wondering why haven’t I posted a Mote de Queso recipe yet. Good news, the wait is finally over, here is my recipe for this simple and popular soup! The reason I haven’t made this soup before is that I could not find ñame here in the United States (ñame is a popular yam like vegetable used in Latin and Caribbean cuisine). But, a couple of weeks ago, while shopping at my local market, I spotted a basket full of ñames in the Latin aisle. I was so happy that I wanted to buy the whole basket, but that usually happens to me when I see a product from Colombia that I haven’t been able to find in the United States. 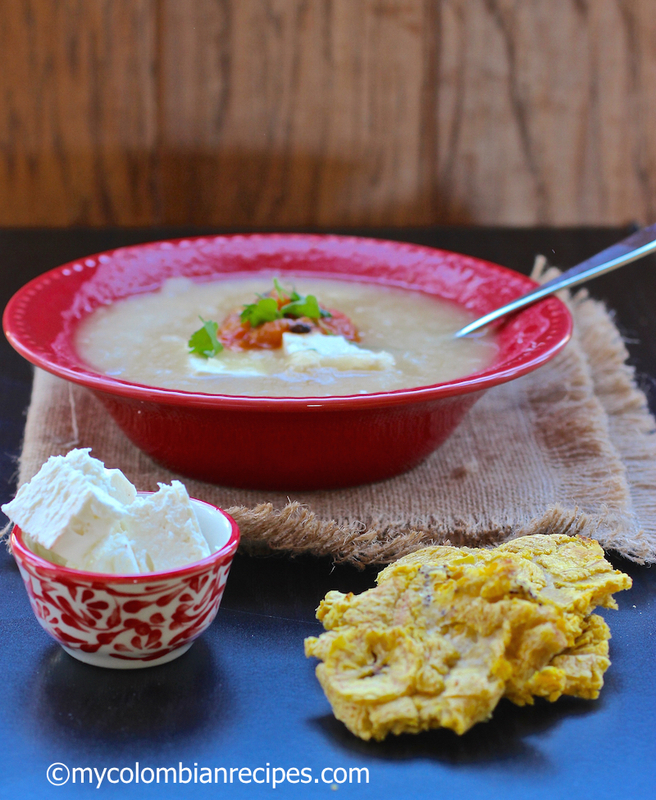 Mote de Queso, is a traditional Colombian soup from the Atlantic Coast of the country. 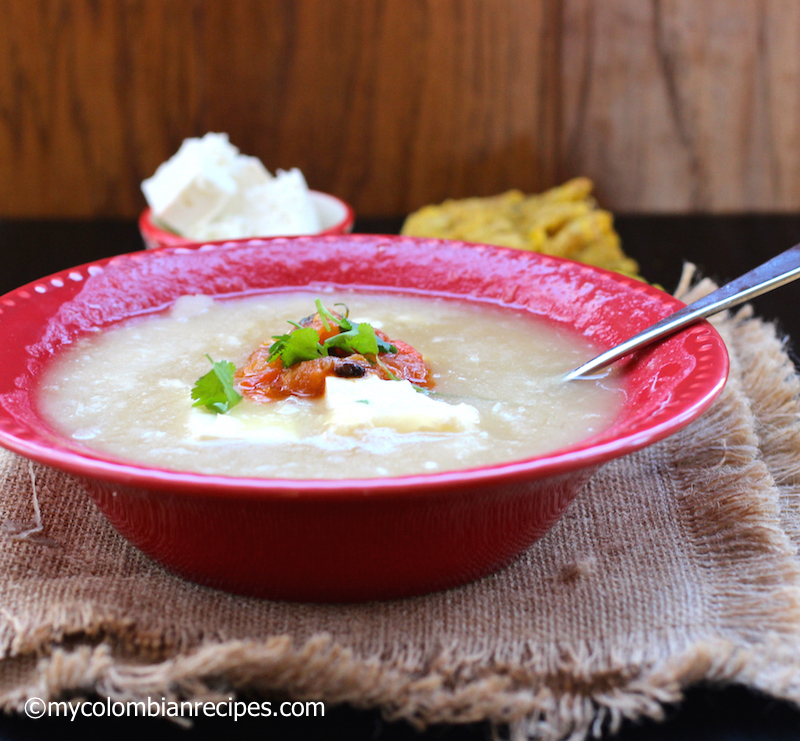 This soup is made with ñame, cheese, scallions, onion, garlic, cumin, tomato and lime juice. 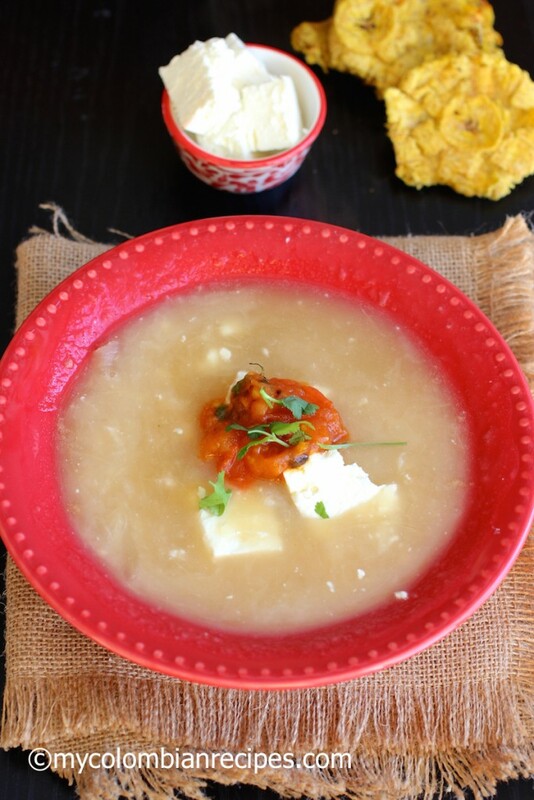 Mote de Queso is a very thick, creamy, and filling meatless soup. 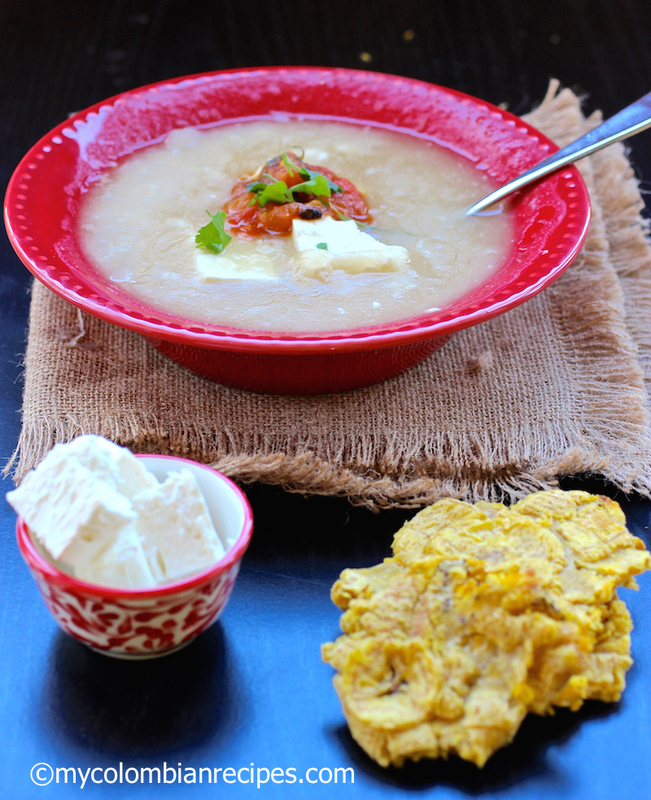 In Colombia a cheese called Queso Costeño, a salty and crumbly cheese, is used for this soup. This cheese is not available here in the United States, so I used feta cheese in my Mote de Queso because it is the closest in flavor and texture to Queso Costeño that I’ve found in the United States. Place the ñame and water in a medium pot. Cook over medium heat for about 45 minutes or until the ñame is soft and tender. While the ñame is cooking, prepare the sofrito for the soup by heating the oil over medium heat in a skillet. Add the onions, scallions, tomato, garlic and cumin. Cook, stirring frequently, until the onions are tender, about 7 minutes. Set aside. Turn the heat to low and add the sofrito and cheese to the cooked ñame. Let cook for about 10 more minutes. You can add more water if the soup is too thick. 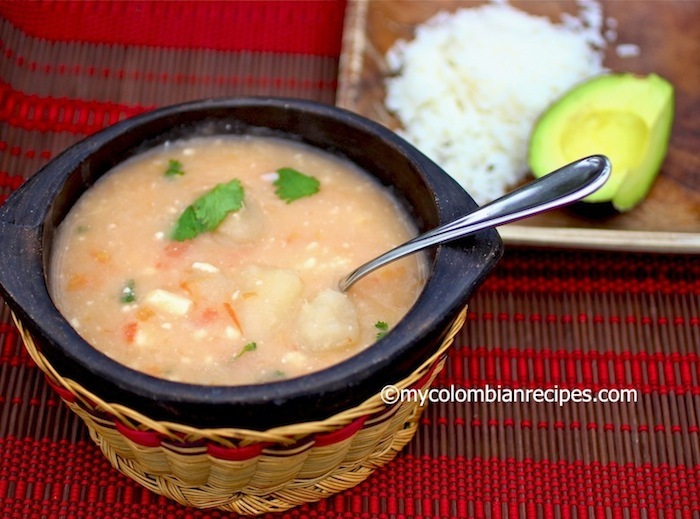 The consistency of the soup should be creamy with small tender chunks of ñame. Add salt to taste, mix well and remove from the heat. 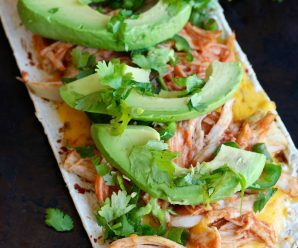 Add lime juice and serve immediately. « $100 Visa Gift Card Give-a-way! 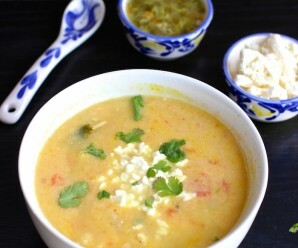 you don’t see feta cheese used in soups very often, and that’s a shame! Won’t say no to cheesy soup! Thanks for the recipe! Where did you find the ñame? They also have queso El Viajero at Sam’s Club that is almost identical to queso from Colombia. El ñame can also be found frozen in many supermarkets. I;ve tried and it’s just as good if not better. I would also suggest that you buy the frozen ñame in your local store because the fresh ñame is tricky and it can come out bad. I saw say that two bags of the frozen is iqual to one ‘large’ ñame. You can also omit adding the sofrito to the soup (which is actually more traditional) and later let the others add as much as they want. Also, part of the cheese can be cubed, rather than crumbed, and add some whole allspice, for a chunkier, more fragrant soup. That’s how I learned to make it (my mother worked in Montería and Sincelejo, so she taught me some of her recipes). Andrea! Mote Córdobes is the one i’m looking for! would be so kind to give me your mom’s recipe, pleaseeeee??? My family recipe uses gandules and Yuca in addition to the ingredients you listed. We also use queso Blanco when we can’t get Colombian cheese. It sounds wonderful! Thanks for your comment! Hola Erica! Me encanta tu página! Felicitaciones por tan bello trabajo. Quiero hacerte una pregunta, tu sabes cómo se le quita el sabor amargo al ñame? Es una cuestión de azar? Me encanta el mote de queso! If there’s a Latin or Mexican market near you, Cotija would be a better cheese to use than feta. Hola! gracias por compartir tantas delicias de nuestra patria. Tengo solo algo que comentar y es que aunque sé que dependiendo de la zona de la costa caribe donde se prepare cambian algunas cosas, nunca había visto esta variante del mote de queso con comino. 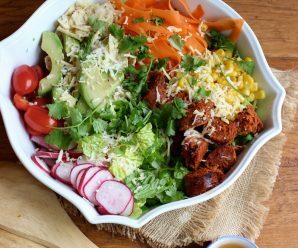 Me gustaría saber de qué zona es propia esta preparación pues soy una investigadora incansable de la gastronomía colombiana y me parece interesantísimo poder conocer sobre las diferentes formas de preparación en cada región. Una vez más muchísimas gracias por todo el cariño que le pones a cada receta. 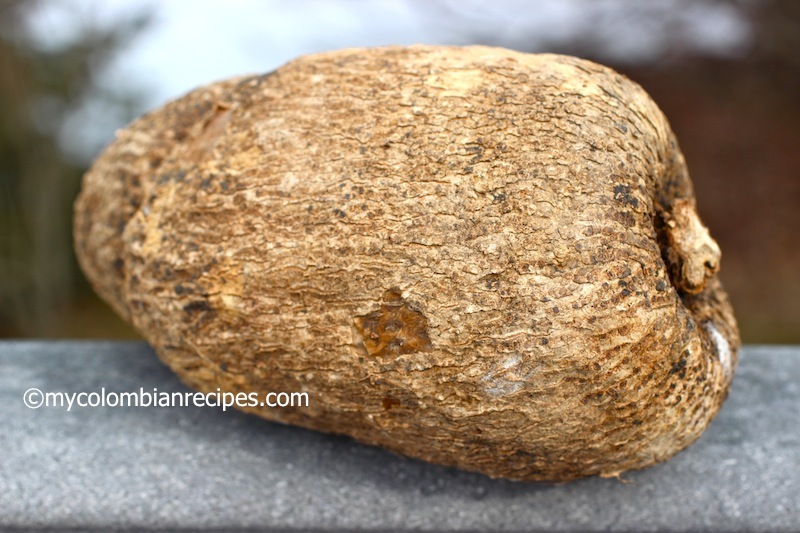 Can you substitute yams for ñame if they’re not available at the supermarket? Yes,if I don’t find ñame I used yuca or yam.